If you haven’t gone through burn out, chances are you know someone who has. It occurs when our mind and body is under so overworked or under so much stress, we shut down. And in the last few decades, burn out has risen significantly for people across the globe. Of course, our body and mind tends to send us red flags before we hit breaking point, but we’re not always good at seeing them. 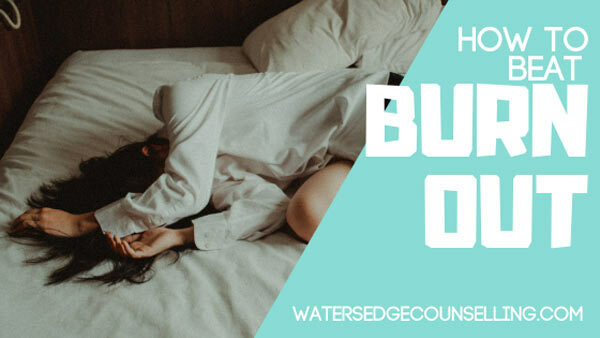 Fatigue, insomnia, irritability and lethargy are all common symptoms, and many people will be diagnosed with illnesses like Chronic Fatigue when experiencing burn out. But it seems nearly impossible to avoid, given the pressure we feel 24/7 from work and home to meet certain expectations and standards. 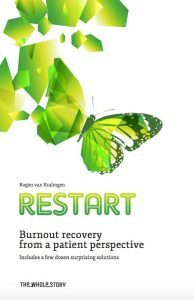 In his book ReStart : Burnout recovery from a patient perspective, burnout survivor Rogier van Kralingen discusses a patient-based approach to overcoming burnout. 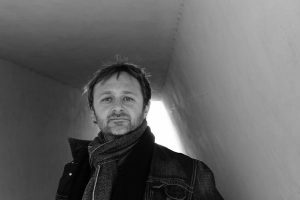 We spoke to him about why the book was vital to his recovery, and how it can help you. What inspired you to write ReStart and focus an entire book on burnout? This may sound strange, but it was pure necessity! I needed a patient perspective during my burnout; it would’ve cut my recovery time in half. But it wasn’t there. So, I created it myself. I’m a writer by profession, so I thought I’d turn that frustration into a positive thing. First for myself, and then to share it with others. ReStart is written from a patient perspective, which is different to many self-help books. Why is this perspective so empowering for people? Because of everything that the medical profession leaves out! When you hit a burnout, you’ll be frantically looking for answers. ReStart covers not only the psychological side of burnout, but also the emotional, physical and societal. It focuses on symptom reduction as much as on identifying causes. Fighting causes is what medicine does. They diagnose and identify burnout as a psychological problem. But that’s not how I would describe it. It’s very much an emotional and physical challenge too. So, in their search for mental causes they can miss part of the solution, which is simply reducing stress symptoms and stress triggers in the body and your surroundings. To get there I acknowledge the actual emotions you feel when burned out. I tell the readers to really dive into their misery. Accepting the bad is the key to the good. Burnout, grief, trauma, depression—they are connected in the acceptance that life throws you curveballs. People are afraid of approaching burnout head on. But it works. The reactions to the book prove it. I myself am the evidence too. I tell the reader there is nothing wrong with them. They simply need a longer period of self-reflection and stress reduction. So, what does this treatment look like? It’s not so much about what you can do. It’s about what the burnout forces you to do! You have all these weird stress symptoms. What you need to do is ask yourself why you have them. What happened that got you so stressed out? I feel burnout is best described as long-time emotional neglect. It’s about what you feel, and why you’ve ignored that for so long. Feelings have physical manifestations. Body and emotion are completely interlinked. Plus, we are social animals. We are very sensitive to each other’s emotional states, including tension. Meaning we amplify each other’s anxiety. Hence, the worldwide burnout epidemic starting in your office. Why do you believe burnout is so common for people from all walks of life, and what causes it? There is a reason why people who live in dangerous, grizzly bear-filled woods don’t burn out: they are connected to nature. But us people living in modern society, with good jobs, a nice house, great friends, a lovely family—we fall by the millions under artificial lights and slouched behind the computer. We get panic attacks the equivalent of a grizzly bear attack—standing in the supermarket! The rise of burnout grew parallel to the Internet. The numbers don’t lie. Technology can be great. But it also gives the illusion of control. And while we frantically try to confirm the worldview in our minds and rationalize it, we detach from actual reality. The medical term is ‘detachment’. We flee in our apps instead of hearing the birds sing. It’s unnatural: do that for a prolonged period and every human being builds stress hormones. Our physiology does not agree with our lifestyles. Combined with high expectations in career, family, love, sprinkle a little robotics-filled job insecurity, add a tinge of political madness, a whiff of social media pressure, put it on 24/7 and voilà, a nice burnout recipe is cooking. How can someone identify if they are burnt out? Since emotions and bodily reactions are intertwined, it’s the thought and feeling itself that is the prime indicator. When you start feeling you might be close to a burnout…you are close to it. Also, hubris precedes the fall. If you think the following, you are about to go under: “I can escape the burnout”. There are many signals. Feeling tired, irritable, a little depressed. But these can also be indicators you just need a vacation. When they appear together with hubris however, that’s when you’re in trouble. Burnout can be prevented or tackled in an early stage. Cry. Yell. Tell the world. Punch that punching bag. Fall onto your knees and scream your lungs out. For whatever reason you have neglected your emotions for far too long. So, take action and wake them up. You’ll feel better. And don’t worry about the negative emotions. Even those that are profoundly distressing. I’ve had them too. Everyone has them. You gain strength by going through the bad, however painful. There are lessons to be found in the darkness that the light can never give you. What are common myths around burnout that you seek to discredit with your book? One paradigm I break is that the way into a burnout is the same as getting out. Yes, you need to tackle the causes of your burnout. Work, family, relationships, the lot. You need to understand why you went in. But to get out it pays to also focus on that physical stress reduction. Second, the notion that burnout is a sign of weakness. It’s actually the strong that fall victim. Being successful means being extra vulnerable to burnout nowadays. You keep raising the bar while the noise grows parallel to the success. That’s when the warning signals are drowned out. And third, despite what others may tell you, there is no such thing as a set of prescribed steps you can take. There are some general lessons that apply to everyone, but ultimately you need a highly personal approach, tailored completely to your own needs. Now that we know what doesn’t work when recovering from burnout, what steps are actually required for someone to go from barely surviving to thriving? The first step is to lose your pride and call it out. You are burned out. Then assemble a Help Team. Friends, family and professionals. And then realize you are not alone. You have just joined a few hundred million others! Stress is the worlds’ number one affliction right now. Maybe you can even appreciate the irony: while you may feel very alone, in reality you are very far from it! Then it’s all about acceptance. Burnout can happen. It’s part of life. It’s about how you deal with it that matters. So, lower your expectations—they were too high. And start reviewing your life. The causes of your burnout need to be identified so you can either change them or accept them and move on. You’ll find that part inescapable. Yet don’t rush your recovery. It won’t work. It’s a restart. Let the recovery come to you instead of going after it. Go for a thousand tiny steps, not a giant leap. And get physical. I don’t mean heavy sports. I mean taking walks, yoga, meditation, a sauna, martial arts, even a good hug… anything that will snap you out of the mind and back into your body. Reducing the stress hormones themselves, regardless of your burnout causes, will help. When the burnout subsides, and it will, you’ll have shed everything you no longer need. It’s left behind in the rabbit hole while you emerge into the sunlight a new butterfly from the cocoon. As someone who has experienced burnout, how have you changed your life to prevent it from happening again? Is this something that could be applied to other people? I’m always aware that it can happen again, which prevents it from happening again! I have become more respectful and mindful to the health of my body and mind. I am now more sensitive and aware. The memory of the excruciating experience itself is a natural prevention method. I think the only way it can truly happen again is if somehow the hubris comes back. There too I have found mental prevention. I’m not so cocky anymore as to think I can manage it all. What is the one thing you want people to know about burnout when they read your book? Burnout is normal. The darkness is an essential part of life. You will recover. There is no doubt. Just know that you don’t face it alone. Far from it! We really are in this together. Restart is available now on Amazon and Amazon Australia. Want to explore how other people have overcome burnout? Join the Restart forum here, and listen to Rogier’s podcast with Whaka Media. Follow them online @restart_burnout or visit restart-burnout-book.com.